Good architecture is in harmony with its surroundings. What sets Ekocite Architecture apart from the rest? Knowing that good architecture is in harmony with its surroundings. It’s that simple. When Tammis Donaldson established Ekocite Architecture in 1996, this was her passion. Harmony. And, it remains her passion to this day. Located in Royal Oak, a suburb of Detroit, Ekocite has focused on everything from residential remodeling to urban revitalization to new residential builds. Through a four-step approach—Predesign and Architectural Proposal, Architectural Design Services, Construction Documentation, and Project Delivery—Ekocite works closely with its clients. No matter if this is your first project or your 100th, we’ll tailor each step to meet your personal needs. Whether it’s walking the land, studying an existing structure, learning a client’s personality, or simply noticing the patterns within the surrounding elements of nature, Ekocite will gather all these elements to bring a client’s dream project to life. Just like they did when designing a new boat barn in northern Michigan. The geometry of a leaf. By observing nearby structures, walking around the building site and then noticing the freshly fallen maple leaves on the ground, Ekocite designed the boat barn to fit with its surroundings. However, a key element to this project became the geometry of a maple leaf. 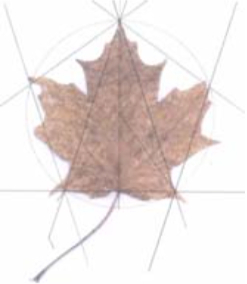 When looking at the maple leaf closely, a geometric pattern emerged. This pattern was ultimately applied to the client’s ideas, and integrated with the other observations made. But it’s not just maple leaves. 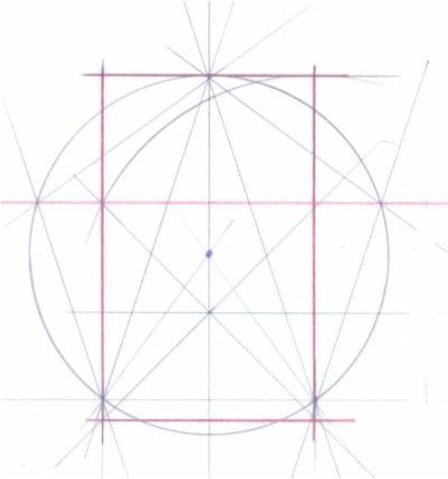 Similar geometric shapes are found throughout nature everywhere, and even within existing buildings. You just need to look for them. When you’re ready to explore, contact us and we’ll show you how this works. Ekocite is an architectural firm committed to improving the lives of people. Our firm is dedicated to assisting people who seek residential additions, renovations, new construction or interior architecture. 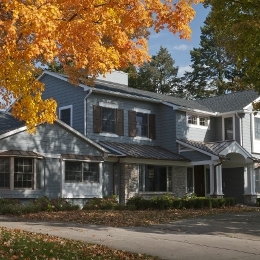 My experience as a licensed architect includes twenty years of projects spanning the entire state of Michigan. I look forward to working with you on building your dream space. Ekocite is a small visionary architectural firm giving personal attention and detail to residential and small scale commercial additions, renovations, and new construction. An Architect serving all of Michigan including Metro Detroit, Oakland County, Auburn Hills, Birmingham, Clarkston, Huntington Woods, Lake Orion, Oxford, Pleasant Ridge, Pontiac, Rochester, Rochester Hills, Royal Oak, Troy, and more!